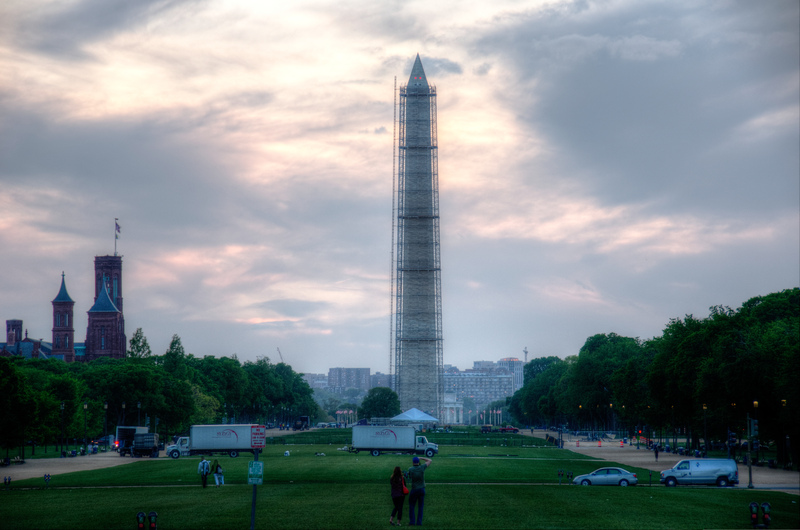 Repairs are on their way on George Washington Memorial after an earthquake rattled Washing DC metro area 18 months back. This is another HDR layered from 3 pictures. I really like the couple in center and vehicles around giving you a perspective of how tall is the structure.